Sue and Barry have been interested in conservation as volunteers for a long time and have now set up Fauna Recovery New Zealand to fund land animal conservation projects. Both are trained scientists, Barry with a PhD in Chemistry and Sue with BSc (Hons) in Geochemistry. Barry is retired founder of BDG Synthesis Limited- a chemistry R&D company that is now thriving under new ownership- and with Sue is a director of several privately held companies. Sue also works full-time for an engineering consultancy. They live in Wellington. 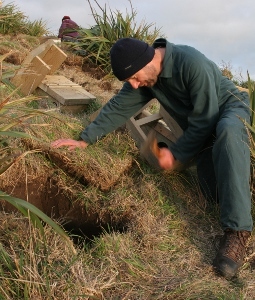 Peter is the brains behind our Puangiangi Island restoration project and is a contractor to the Trust. Formerly with DOC until retirement, he brings to the table a 30-year background in practical conservation work. We have him to thank for organising the efficient funding mechanism we use for projects on the public estate, and for getting the all-important rock wren project off the ground despite the odds. 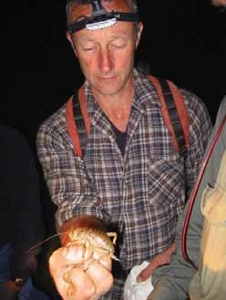 Peter has held office with The Ornithological Society of New Zealand and was until retirement Recovery Group Leader for Tuatara. Peter is based in Nelson. Lynn is with the Department of Conservation (DOC) in a senior technical support position, providing that vital, sane, link to Government. 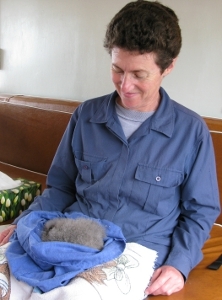 Lynn is in Wellington and brings diplomacy and people skills to a vast range of regional conservation work. 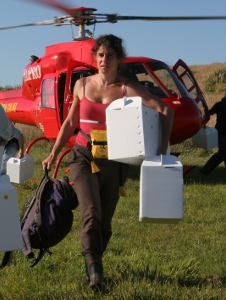 She is leader of the NZ Lizard Technical Advisory group and member of the Hihi and Shore Plover Recovery Groups. She has a passion for the South Island high country and is happiest when surrounded by tussock, alpine wetlands and native animals of those environments.